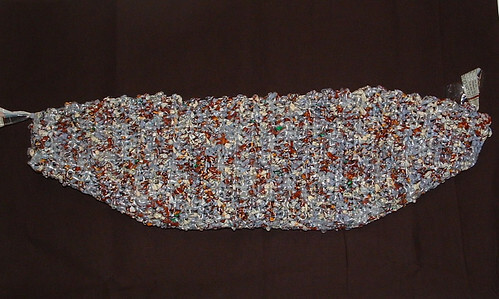 I have been working for several weeks now on a custom-ordered recycled bread bag project. 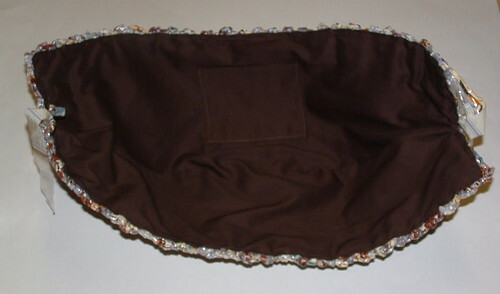 The client wanted a fat bottom bag (FBB) crocheted from bread bags. What made the project unique was that the bread bags are from her husband’s bread factory. 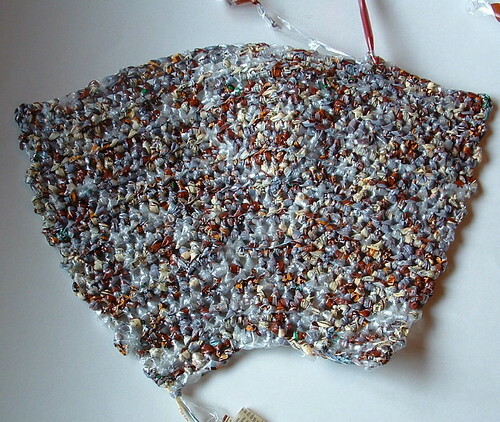 She collected bread bags from the factory’s floor of damaged products and mailed them to me to crochet her FBB. I cut the bread bags into strips about 1/2 inch wide and created plarn using the same method I do for plastic grocery bags. I didn’t count the number of bags used but I believe its around 50 bread bags. I used the FBB English pattern here. I added the flap and button option which is detailed at my plastic fat bottom post link which also has the English chart link as the original pattern is written in Portuguese. 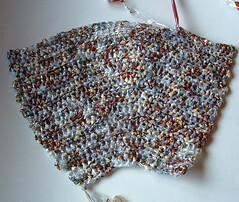 Working with the bread bags was much harder than the thin newspaper bags that I used in my first plarn FBB. The bread bags are so stiff making it difficult to do the gathering portion of the bag. But I was able to get it accomplished and lined the bag for my special order customer. Here are some photos of the project as it progressed. The final photo shows the flap with the button sewn in place. I am excited for my customer to receive her custom-made repurposed bread bags. I hope she enjoys her unique recycled fat bottom purse. You my dear are way too talented. Are you doing the Bernat crochet along? Boy, I wish these were knitted patterns. Can’t learn to crochet even though I have read lots of books and watched videos galore. What a beautiful bag! It’s a really lovely design and the colours of the plarn work so well, it almost looks like a tweed. Well done for completing such a lovely thing especially as the plarn was hard to work with. Love your plastic-bag bags. 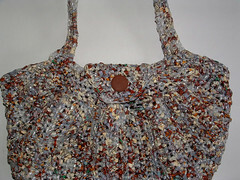 What a refreshing way to recycle all those Safeway and WalMart throw-aways. However, your bags are much more colorful and attractive than the ones I get while shopping. I’m going to have to try your method, if that’s okay with you, Cindy. 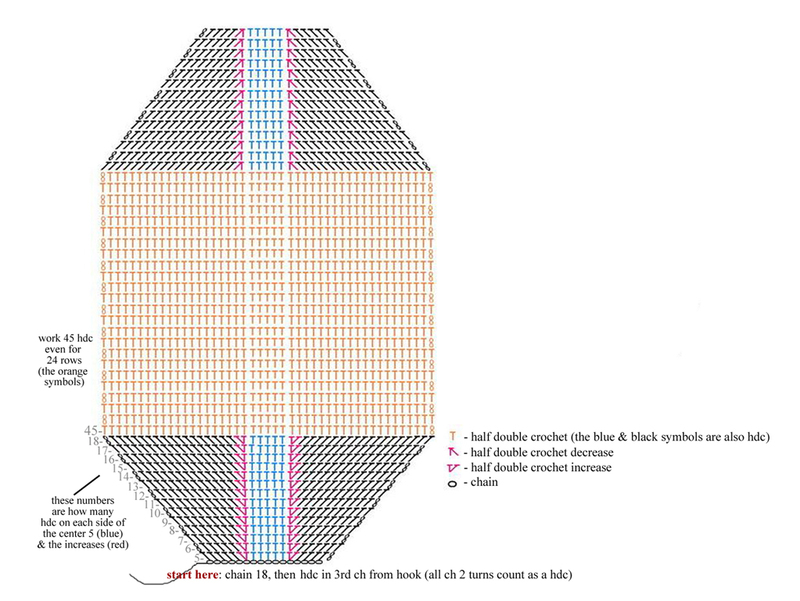 I think this is a beautiful pattern and I am trying to make one. and it is progressing nice. I love your website and your crochet patterns! Thank you for sharing. I will definitely go home and try to make some plarn to crochet one of your bags. Wow! You are absolutely unbelievably amazing! You’re crafts and handbags are like nothing I’ve ever seen. Oh my! I just love your work. You do so good! You have a serious talent. I hope you make some awesome sales on your bags! I’m sure you will because they are just stunning! I loved reading your blog and hope to read more soon. Unfortunately, I couldn’t find a follow button 🙁 I’m from blogger though so that may be why. Still, I’d love to be updated on your lovely work! Kendra: Thanks for all the kind comments. You can subscribe to my RSS by clicking on the orange button on the right column just below my search box. Love this bad. I plarn but never used bread bags. I think i will give this a big try. Love it. This bag is amazing, nice job! so cute and so fashionable!!! the only limits to using plarn are heat and your imagination!! NEVER use plarn for making pot holders! hahaha! they melt!!! fortunately i was using it a a trivet…and was able to peel off the melted mess when it cooled…..